You are at:Home»Health and Fitness»How Does Acupuncture Work? Acupuncture is performed by inserting thin needles into the skin at a fairly shallow depth. The procedure is usually painless or close to painless depending on the skill of the acupuncturist. Acupuncture uses the concept of qi to help relieve pain and treat certain ailments. Qi, aka chi, is used to describe the life force present in every living thing. 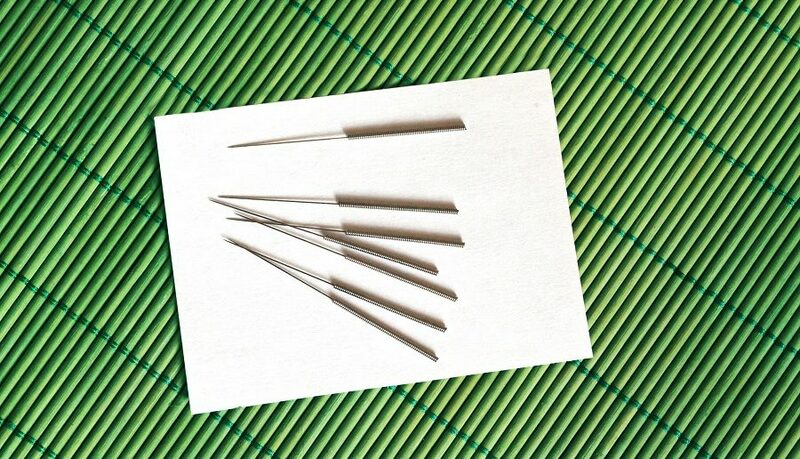 Acupuncture works by inserting needles into the points on the body where the qi circulates. That is the spiritual side of acupuncture, but there is a scientific side as well, and both of them are worth exploring. In traditional Chinese medicine (TCM) qi, or the life force, is vital to a person’s health and well-being. The ancient Chinese believed that the understanding of qi was the key to stable health and a long life. Practitioners of TCM believe that a disruption of qi is the cause of various maladies and ailments. Qi is believed to flow through the meridian system—also called the channel network—in each living being. TCM involves using acupuncture needles at specific points on the meridian system to balance the affected individual’s qi and help them in their healing. Modern practitioners of acupuncture do not necessarily believe in the concepts of meridians and acupuncture points. It is sometimes used as a form of complementary medicine to supplement other forms of treatment. Some doctors hypothesize that acupuncture works by stimulating the nerves in neurohormonal pathways. The nerve sends signals to the brain that causes it to release hormones called beta-endorphins. Those hormones help the affected person feel more content and eases their pain. Another hypothesis is that acupuncture reduces the number of pro-inflammatory markers in the body. The reduction of these markers helps to reduce inflammation and reduce pain. Basically, the science behind acupuncture is that it stimulates hormone production, which can help people recover from certain ailments. Regardless of whether one believes in the scientific or spiritual nature of acupuncture, it is a useful treatment option for a wide variety of medical and mental conditions. It can help to provide relief from shoulder pain, neck pain, dental pain, and more. Acupuncture also has psychological benefits since it can help with stress, anxiety, and depression; in each case, acupuncture works as a supplemental treatment option, not the sole treatment option. Another possible option is as a treatment for nerve damage. One hypothesis is that acupuncture can help to treat nerve damage by stimulating the brain to secrete nerve growth factor, which helps the nerves to regenerate. Acupuncture can also help women with fertility problems in a variety of ways. It can be combined with herbal and traditional medicines to increase ovarian function, and to treat a variety of fertility problems. These include elevated follicle stimulating hormone, hyperprolactinemia, polycystic ovarian syndrome, and more. Another study found that acupuncture could be helpful in treating the side-effects of PTSD. A clinic like Sound Acupuncture Miami can provide acupuncture treatment to help with a myriad array of problems. The ability to provide a solution to all these various problems is the reason why acupuncture has persisted for thousands of years.